Nothing compares to a 32" rotary tiller teamed with the B-10 tractor for preparing your seedbed for best planting results. Husky, non-clogging tines are guaranteed against breaking. 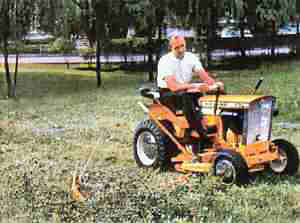 Big, rugged, 46" sickle bar mower cuts up to two acres per hour, requires little maintenance. 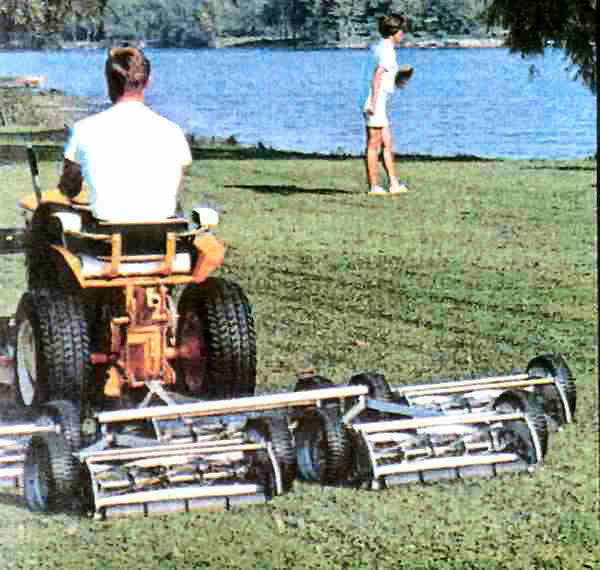 Handles heavy growth with ease, even over rough terrain and steep slopes. 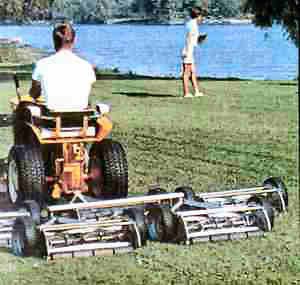 Five-gang trailer mower makes an eight-foot cut and is ideal for estates, parks and golf courses . 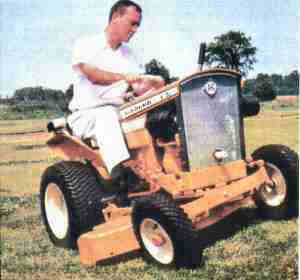 . . wherever a really big mowing job is required. 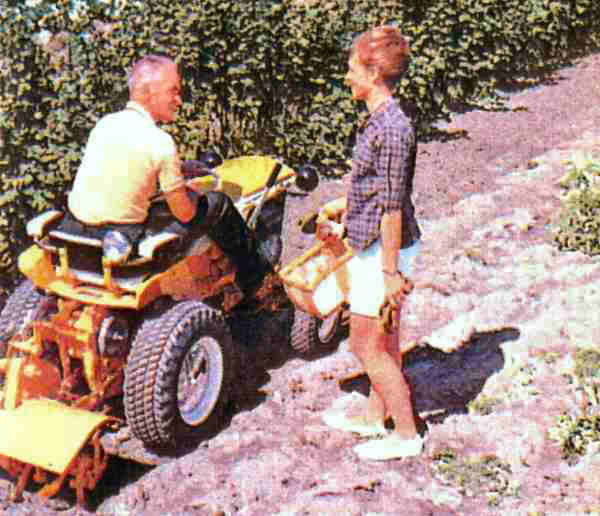 It cuts up to 5.8 acres per hour. The big 42" rotary mower cuts deep grass up to two acres per hour. The B-10's special front axle suspension always keeps mower parallel to ground for clean, uniform cutting, without scalping. Cuts to within 5/8" on either side. Cutting height is easily adjusted.